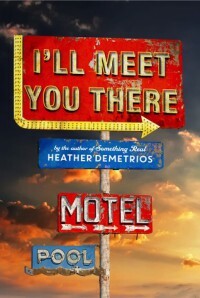 I’ll Meet You There by Heather Demetrios was everything I had hoped it would be and more. I was anticipating some sort of insta-love aspect in the book, and instead was treated with a slow burn kinda love story that pulled at my heartstrings, made me laugh, swoon, and cry. The story basically revolves around Skylar Evans who is on the fast track to getting out of Creek View. With a full scholarship to college, and the opportunity to leave her small town behind, nothing will stop her from leaving…except maybe her mother. After the loss of her father, Skylar’s mom has been down the path of depression, drinking, and not making the right choices. When her mom drops the bomb that she’s lost her job and has started to show affections towards the town “creepy”, Skylar knows that her plan may not be so easy to execute. The one place (aside from the company of her BFFs) that Skylar can escape to is The Paradise hotel, a “theme” roomed hotel that Skylar has been working at. It doesn’t hurt that the manager/owner is like a second mother to her. But when a hometown marine comes home from Afghanistan after losing a leg, Skylar’s plans of leaving Creek View starts to eat away at her. How can she leave her mother who can’t take care of herself? And what if the person she didn’t think she’d have feelings for, shows her the side of him that she can’t walk away from? So, let me start of by saying this…there wasn’t a character in I’ll Meet You There by Heather Demetrios that I didn’t love. They all had their own personalities! Ones where I’m sure that readers out there would be able to relate to. They all have their secrets or flaws, which makes them unique from each other, and makes them all loveable and unforgettable. What I loved the most about I’ll Meet You There was watching the friendship between Josh Mitchell and Skylar Evans develop. I love stories where there’s a “It was you all along” realization. *le sigh* We watch these two characters grow together and slowly come together, and then the unforgettable “ah ha!” moments. Oh sure, there’s hiccups. What great story wouldn’t have them! Of course Josh ends up showing his douchyside… It just made the story all that more real. We see Skylar, this tough as nails girl, fall and breakdown, and as a reader, I fell and broke down with her! I wanted to gather her up in my arms and tell her that everything would be okay. Oh how my heart went out to her. But then we witness something so beautiful happen. OMG this book… You know how they say that things happen for a reason? That’s pretty much this book. If “certain event” didn’t happen, then “a different event” wouldn’t have happened, and “this” wouldn’t have happened. Not only do we get to watch an unforgettable love story unfold, but author Heather Demetrios, also opens the readers eyes to the reality of war and the casualties. Not only the physical pain that many soldiers/veterans have had to (or continue to) go through, but the aftermath of the war as well. She shares the truths of PTSD, and how much it affects the solider, their families and friends, and those around them. To be able to read a story that transports the reader from a side where a soldier retells his nightmares from the war to a side where love blossoms was so touching and quite an experience. 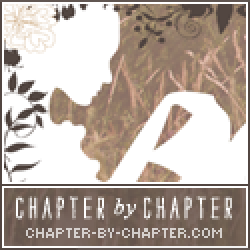 I would recommend I’ll Meet You There by Heather Demetrios to fans of contemporary reads, and for anyone who craves a story that’s so real and heartwarming that you’ll finish the book with a smile.